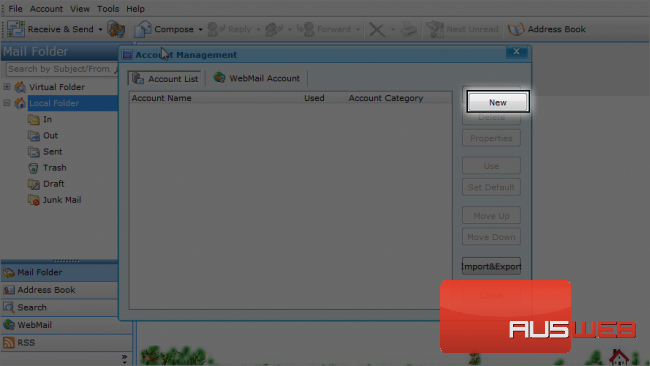 1) Now please click on the tools menu. 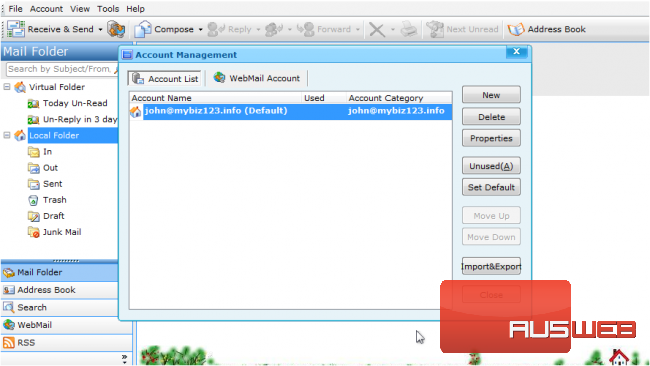 2) Please click Account Management. 3) Please click on New. 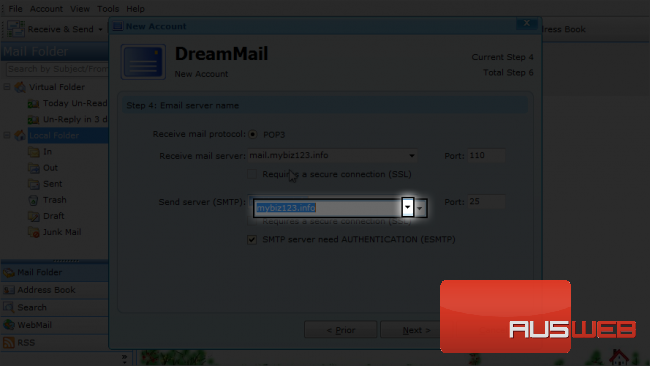 4) Type your email address. 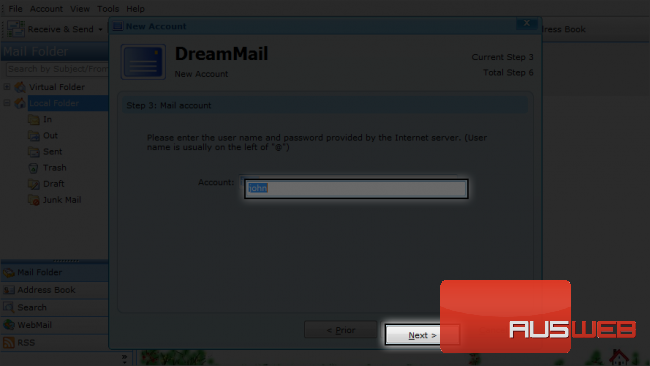 5) Please type your password. 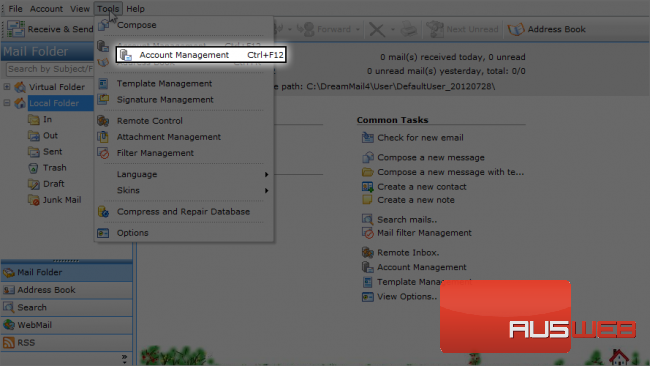 By selecting this option, you will be able to manually configure the email account settings. This is a very useful option. 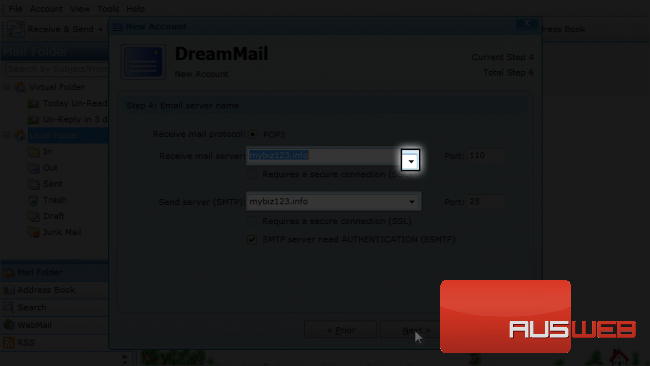 If you select this, DreamMail will set the mail server settings automatically if they are available. 7) So leave both selected. Then click on next to continue. 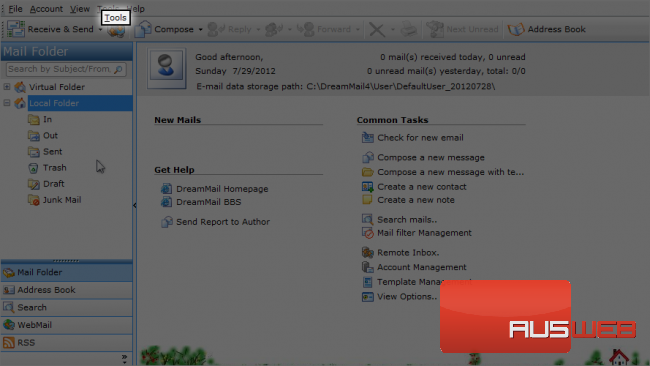 8) Type your name which will be displayed as the sender in your sent emails. 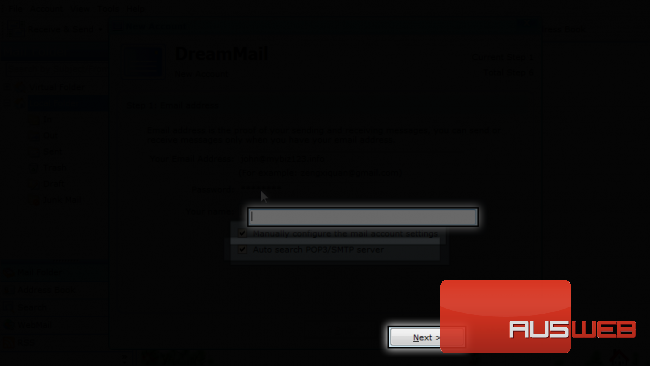 9) Click Next to continue.. Note that the server info has already been populated as we selected the auto search option earlier. 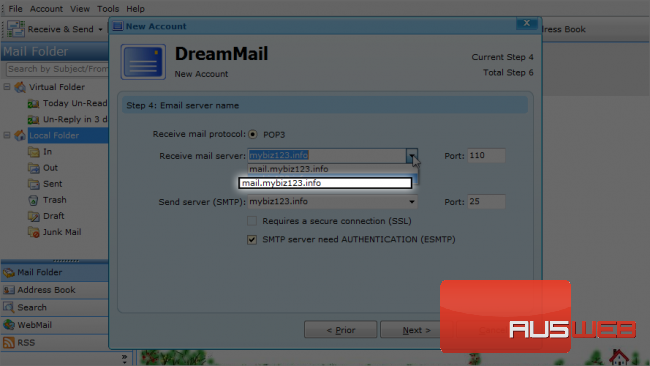 Mail servers listed here are domain.tld which may work, but for cPanel servers, mail.domain.tld is the recommended server name. 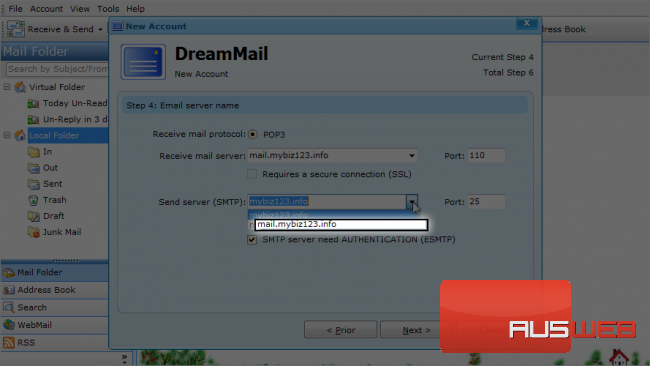 Let’s change the outgoing server to the same: mail.mybiz123.info. 14) Click here to continue. 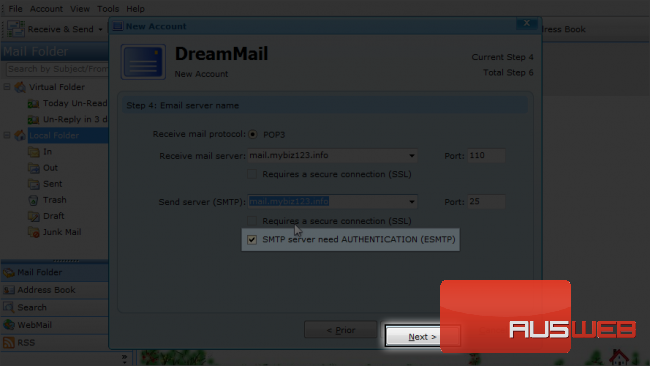 If your server needs SMTP server authentication, then leave this selected; otherwise, deselect it. Let’s keep it selected for now. 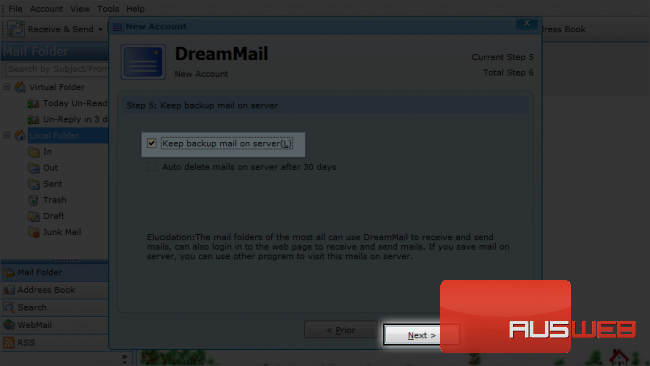 Keep this selected to leave your mail on the server despite downloading them in DreamMail. Almost done! 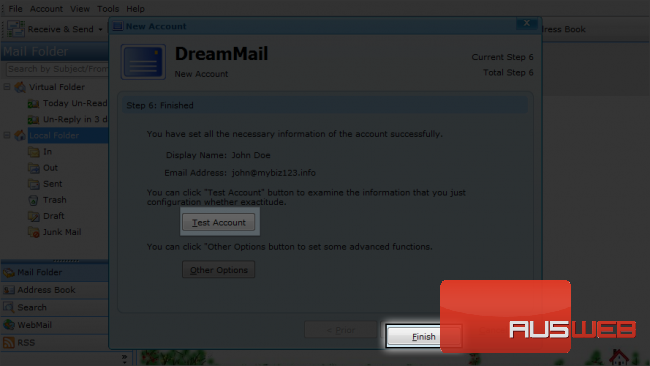 You can click on Test Account to verify the info you entered. 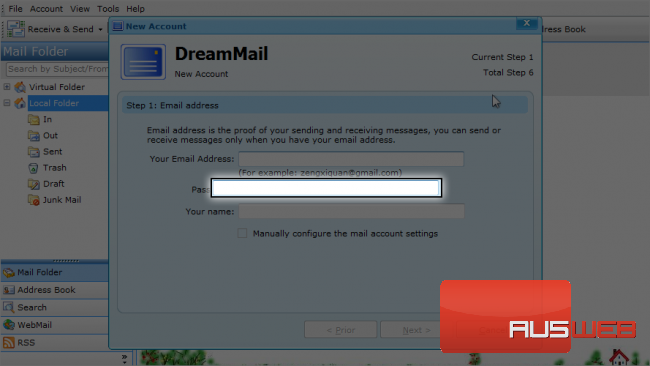 You have successfully configured a POP email account in DreamMail. This is the end of the tutorial. 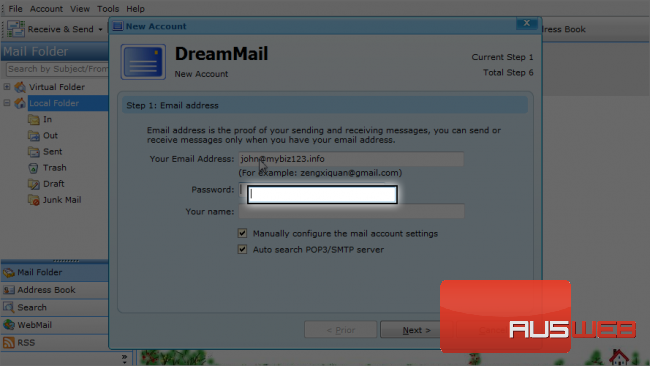 Now you know how to Configure a POP email account in DreamMail.